It was raining on Sunday, July 29, 2012. Since it is the monsoon months, I did not take note of the steady rain. At around 10:00 pm, the rain was really pouring. The wind was howling. Hey!. Is there a typhoon? Not one of us in the house knew! We had to go online to find out. Then the power went out. Typhoon Gener brought so much rain that it caused flood in Metro Manila, our town included.. Our place was severely affected as the surface and rain water from a newly paved (cement) road, angrily, purposely and quickly flowed in our area. 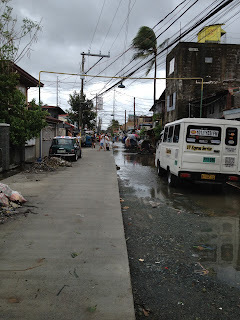 As the flood waters rose, so did our (homeowners) ire over those who were responsible for the badly designed road and drainage system in our area. How many times do we have to tell these people that rehabilitating a road is not the solution to curtail flooding? 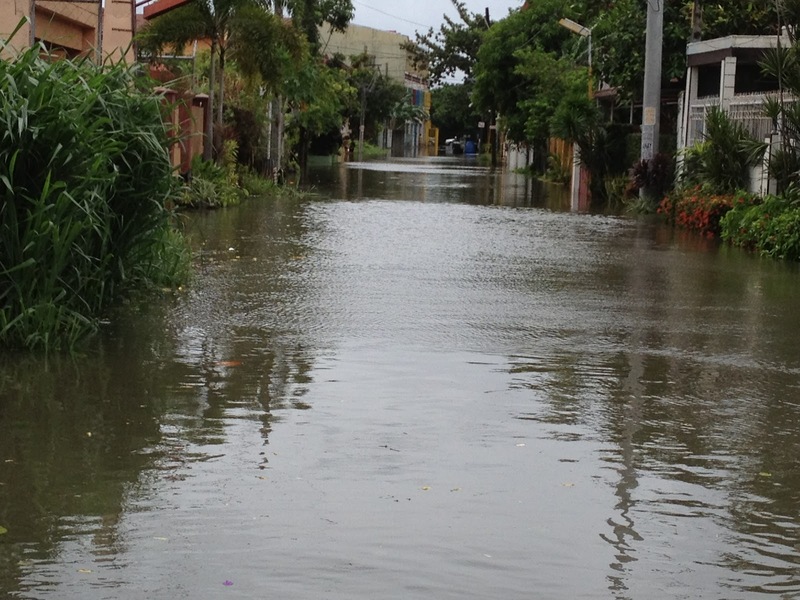 What then is the solution to minimize flooding? Proper Drainage! 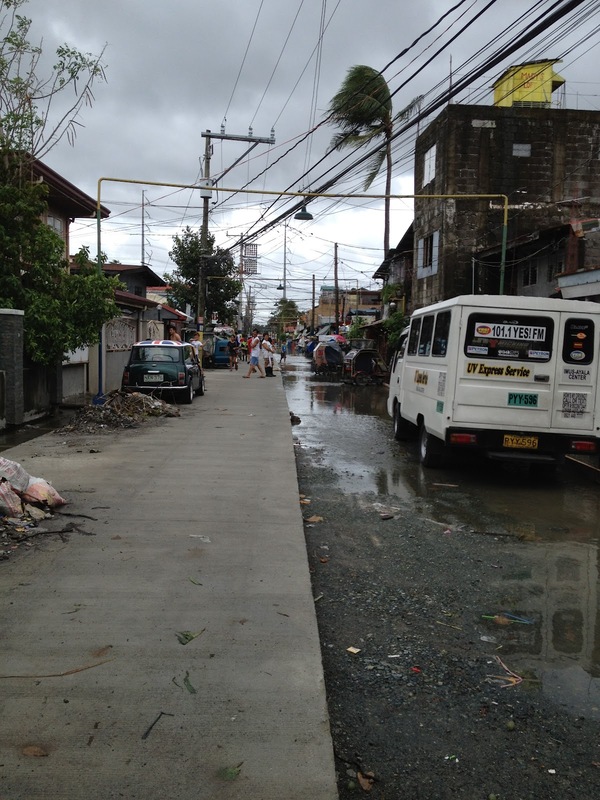 This is one of the streets in our place. In this picture the flood water is thigh-deep. been rehabilitated so that all the surface water flowed to our area.